Gwynne Bragdon, M.D. 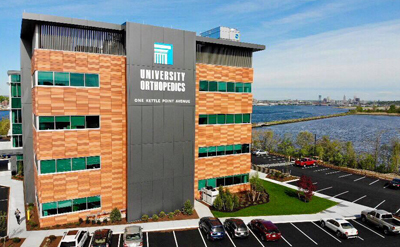 is a member of the Orthopedic Hand and Microvascular Surgery Division of the Department of Orthopedics at Middletown. Dr. Bragdon specializes in the care of patients with injuries to the upper extremity including fracture care, arthritis, tendonitis, and peripheral nerve injuries, and microvascular surgery. In 2008, she completed a fellowship in hand and microvascular surgery at Brown University. Dr. Bragdon previously practiced Orthopedic Upper Extremity surgery in Pittsburgh at both Level 1 trauma centers and community hospitals from 2008-2016. From fireworks to falls, the summer season means more opportunity to injure your hands. University Orthopedics's hand surgeon, Dr. Gwynne Bragdon, pens this week's "Health Matters" in the The Newport Daily News.